The unspoiled natural beauty of North Bali welcomes you to a world away from the busy resort areas of south and central Bali. North Bali offers a traditional Balinese experience with authentic culture and pristine nature with tranquil, rural surroundings. This region is truly restful and allows you to experience lush, verdant agricultural countryside surrounding elegant, peaceful and original Balinese villages. In place of hectic shopping and nightlife, this region offers natural outdoor pursuits involving mountain and village walks, waterfall treks, boating and fishing on pristine lakes and coastal activities such as dolphin watching, snorkelling and scuba diving. Alta Vista Mountain Villa is the ideal location to enjoy North Bali. Alta Vista is in the village of Wanagiri, in the district of Sukasada, in the regency of Buleleng in North Bali. Wanagiri sits astride a high ridgeline which is part of the northern lip of an ancient caldera which now contains two beautiful lakes, Danau Buyan and Danau Tamblingan. 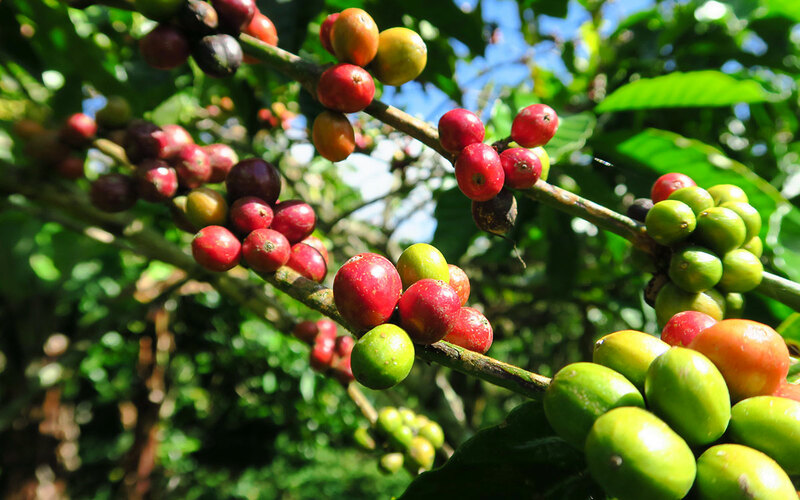 The village itself is sparsely populated, comprising small homesteads and farms focused on coffee, clove, flowers, fruit and small animal husbandry. It used to be a sleepy little place until the last 5 years, when the area has become better known to domestic and foreign visitors for its cool mountain weather, its lush forests and fields and the stupendous views of the caldera lakes from the top of the ridge. Yet it is not heavily touristed and the atmosphere is relaxed and serene. 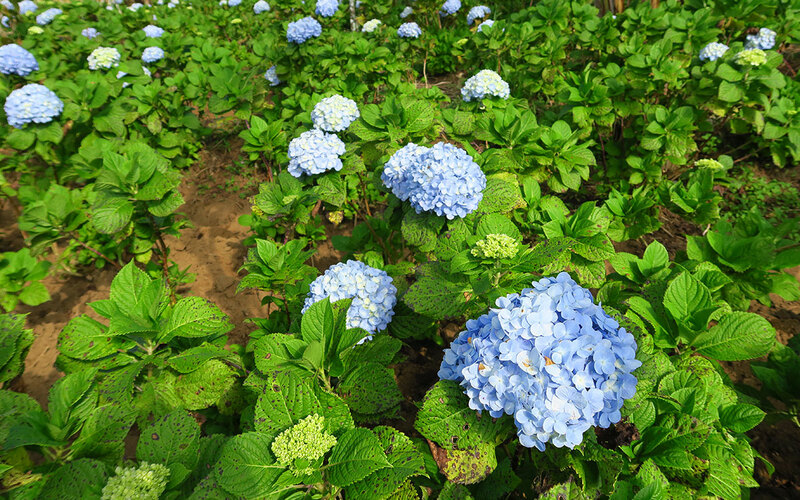 Wanagiri Village is accessed by a series of small lanes that run down the gentler northern slope of the ridge. These small roads carry mostly pedestrian and small vehicle traffic to the homesteads. A walk down any of these roads is an adventure of discovery of family homes of a variety of styles and sophistication, with friendly and welcoming villagers who are only too happy to stop and say Hi or chat about what they do. 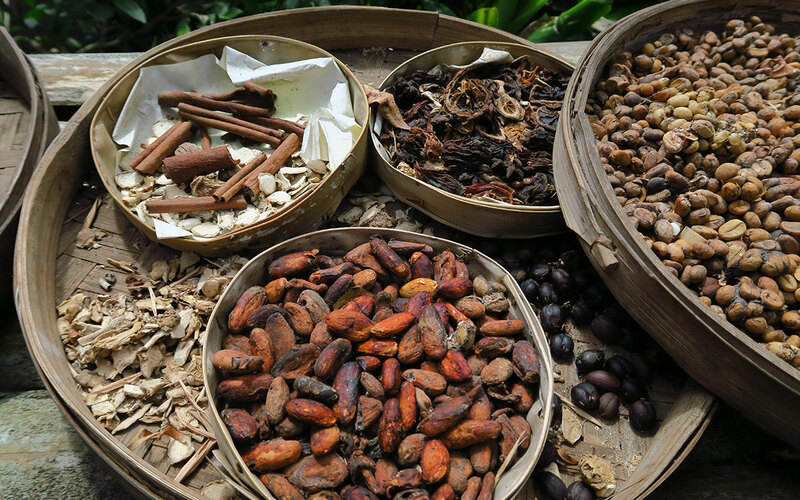 One can see gardens of bananas, tangerines, clove and coffee as well as pens for sheep, goats and cattle. 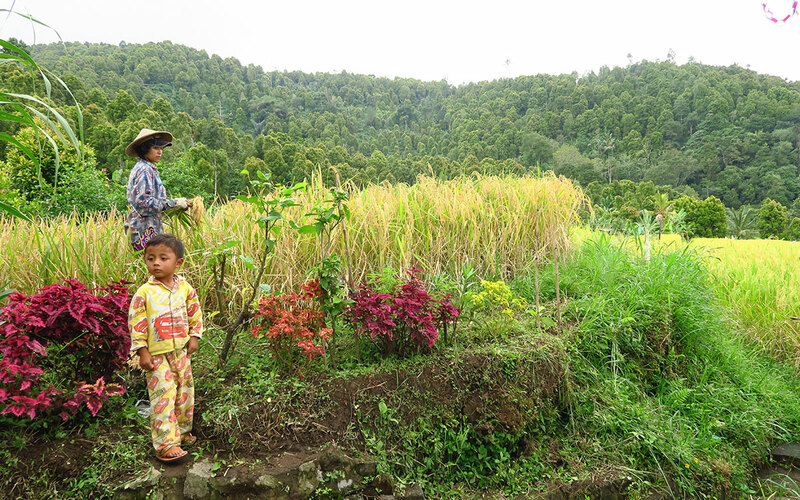 Wanagiri villagers are well known for their friendliness and openness. They are a hardworking people and have a very strong sense of community or “kampung” spirit. They are fond of organising volunteer task forces among themselves to do village improvement works, called “gotong royong”. They show much initiative and diligence in everything they do. The developer of Alta Vista first discovered the northern mountains of Bali in the early 1990s, when it was extremely quiet up here. The prime attractions were the mild mountain climate, cool throughout the year, the rustic village ambience, the friendliness of the people and the beauty of the farms and forests in the countryside. The location for Alta Vista was offered by a local land owner who remains a neighbour of Alta Vista. 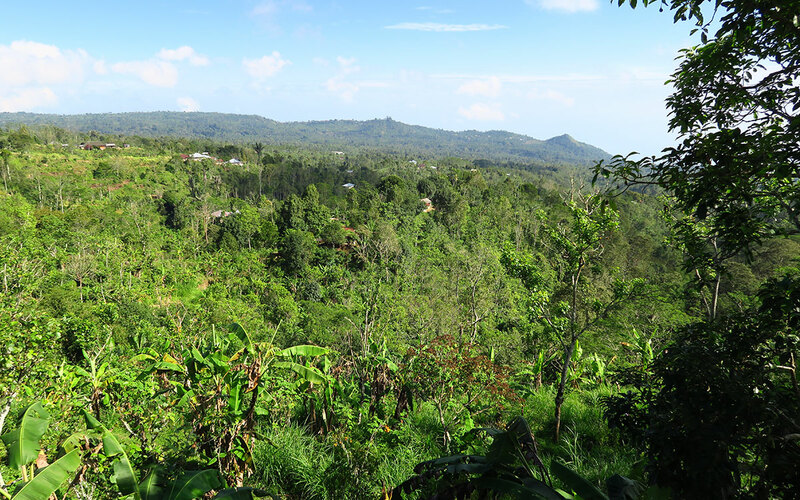 Over the five years since the land was acquired, the developer of Alta Vista and the people of Wanagiri village have grown to know one another and the villagers have welcomed Alta Vista into the community. Early on, the developer of Alta Vista responded to an emergency when a family member of Alta Vista’s original landowner was seriously injured in a road accident. Money was given on trust as an interest free loan to ensure that the accident victim received necessary surgery and was well cared for. This gesture, in the way of good deeds, has come full circle today. It turns out that one of the staff recruited for Alta Vista is the spouse of that very accident victim and to this day, the entire family is grateful for the help rendered years ago. When Alta Vista was completed, the road leading to it needed to be re-surfaced. The village rallied together and offered a “gotong royong” project to do the work without any labour charge, but only to be given materials and meal support. This shows that the villagers of Wanagiri are not only generous of heart, but also community minded, understanding that this new road would serve the many homes deep in the village and therefore this road benefits everyone and not only Alta Vista. It was expected that the project would take 20 village volunteers two weeks to complete. But in fact, 60 volunteers showed up for work each day and they completed the task in under one week! Such is the hardworking nature of the Wanagiri villagers. When Alta Vista needed a water supply, the villagers immediately found two possible sources of mountain spring water and one was selected. Again, the villagers mustered themselves to provide the labour needed to build the concrete reservoir and lay the piping all the way to the water tank of Alta Vista. And they achieved this in just two days! We have also found it a pleasure working with the Village Administration and Government, in putting in place all the various administrative requirements for Alta Vista to operate in Wanagiri Village. Just as Alta Vista contributes to the day to day running of the village, they have been most accommodating in ensuring our needs, including policing and security, even though there is practically no crime to speak of in these mountains. It has been a deliberate policy that Alta Vista should provide employment and training to the people of Wanagiri Village. Eight out of the ten Alta Vista staff are from the village itself. The remaining two staff are from neighbouring districts. 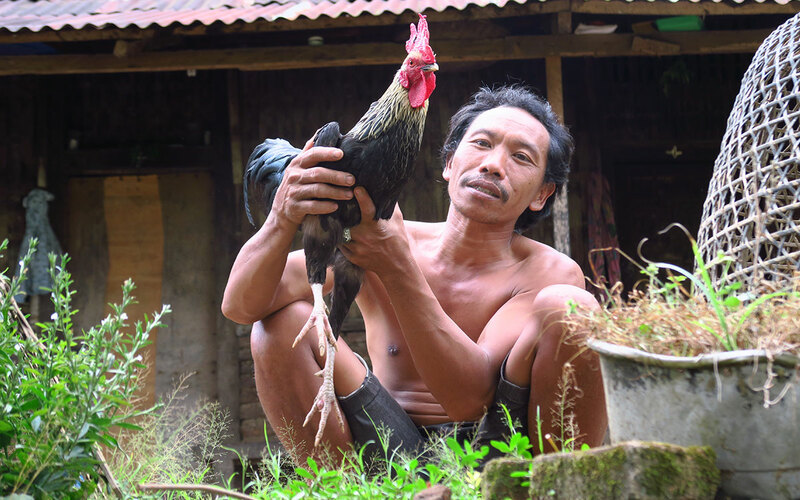 Alta Vista provides employment for villagers of the kind that would normally only be available in the larger towns of Bali. Thus the staff do not need to leave their homes and their families to live and work elsewhere. Alta Vista, being the first and only villa of international standard in Wanagiri, will make the village better known throughout the world and this will inevitably bring more development into the area and hence greater prosperity to the village. Many of the staff came to Alta Vista relatively untrained and by themselves might not have found such employment easily in more established hotels and resorts elsewhere. Alta Vista has provided training and work experience. They have worked hard to become good at their jobs. The training the staff receive will also stand them in good stead for future careers, assuming they would ever want to leave the close family-like environment that has been created among the staff of Alta Vista!